If you're a fan of a solid anthem of self-love and unapologetic assertion, look no further than Yung Baby Tate's latest offering: a remix to her "Pretty Girl" track, featuring fellow Atlanta rising stars Mulatto and Killumantii. 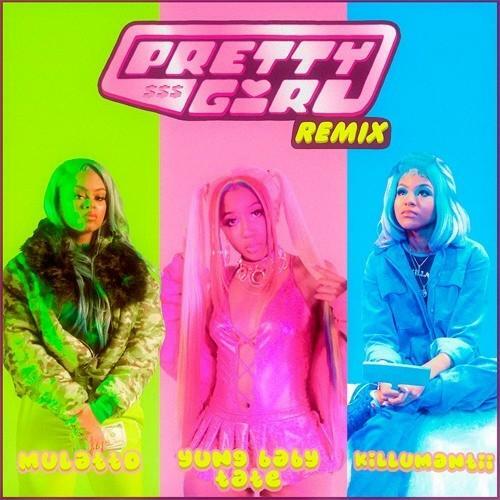 Produced by Tate herself, "Pretty Girl" instantly evokes memories of lady-oriented tracks of the early aughts that continue to serve as timeless cues of confidence. "When I originally made the beat for 'Pretty Girl,' I was inspired by some of the Atlanta classics I grew up with like 'Laffy Taffy' and 'Lean Wit It, Rock Wit It,'" Tate tells The FADER. "I wanted this record to feel that way too, but to also have a powerful message for the girls!" "Pretty Girl" is set to be featured on Tate's forthcoming GIRLS project, set for arrival in February. She has already launched teasers for the new effort, recruiting a group of women to take on the roles of different girls, including Cozy Girl, Freaky Girl, and Bad Girl among others. "GIRLS is a conversation about women and how dope we are," Tate continues. "Expect to be reminded that you are 'That Girl' every morning. Expect bops. Expect to dance. Expect to love yourself and the women around you a little bit more."